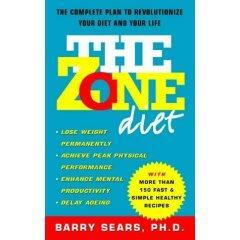 The Zone Diet, written by Dr. Barry Sears, is based on the theory that it is not dietary fat that causes weight gain, rather carbohydrates. These offenders, according to the program, must be eaten in limited amounts for weight gain to cease and unwanted pounds to be lost. Although low-carbohydrate diets, such as Atkins, have been on the weight loss scene for a long time, they can be tricky to decipher and understand. In addition, more recent low-carbohydrate diets like The South Beach Diet have hit mainstream. There is a variety of weight loss programs available for dieters to try, and hopefully to experience weight loss solutions from their implementation. However, each diet has its own philosophy on how best to lose weight. The Zone Diet is no exception. Like most diets, it has specific guidelines that are mandatory to abide by for weight loss to occur. In The Zone Diet Overview, you will gain an understanding of the diet, and be advised on how to adopt its regimen into your daily life. Our Zone Diet recipe collection supplies you with new recipes to try, as well as a general outline of how Zone recipes are constructed. Since the optimal balance of protein, fat, and carbohydrate is central to the Zone design, each recipe is based on this balance. We encourage you to write to us with your individual questions at Diet and Nutrition Q & A. We will happily answer your Zone Diet questions or any other diet-related questions you have.